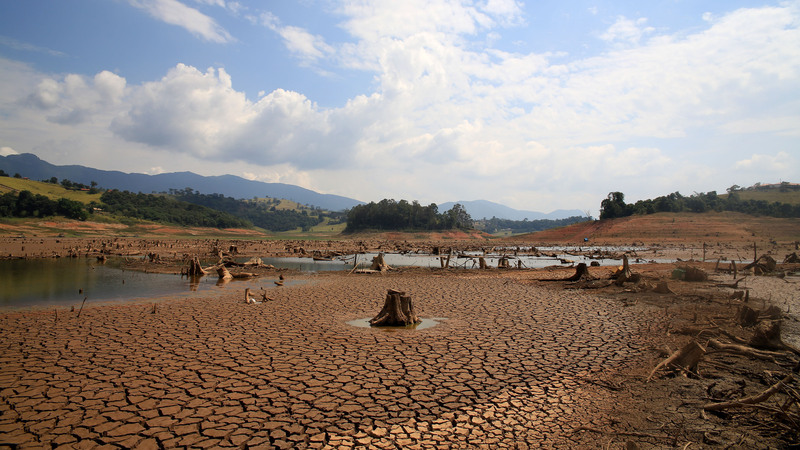 Brazil has had its worst drought in 80 years, and in the smaller cities water is being rationed. The water levels of Sao Paulo are at a record low. December is in the summer season so the prospects for the New Year are grim. But it is Xmas already, and, meanwhile, the largest floating Xmas tree in the world has been erected on the Rodrigo de Freitas lagoon in Rio de Janeiro. Purple, gold and blue, the tree looks like a giant Xmas cracker with a point. The tree is 280 feet tall and has 3.1 million lights. Leaves there are not. Someone else not interested in authenticity is Andressa Urach. She is now in hospital, seriously ill and breathing through a ventilator. Andressa was infected in an operation to remove the excess gel that had been implanted in her thighs. Miss Urach decided that twice the recommended dose would help her in the ‘Miss BumBum’ competition that is popular in Brazil. Almost, Andressa was a runner up. Now struggling for breath, months earlier Miss Urach had greeted Cristiano Ronaldo dressed only in body paint the colours of the Portuguese flag. According to Andressa, she had slept with the most famous narcissist in the world two days before he played in the Champions League Final. Ronaldo was a love cheat, alleged Andressa. Mr Memory was shocked to be greeted by a woman dressed in body paint and slopping around in excess gel. Always discrete and low profile, he said on Facebook that he was ‘deeply outraged’. Football fans know the outraged look of Ronaldo. Unfortunately, for Cristiano, some girls, unlike referees, do not forget. Those not attending a football match this Sunday may wish to respond to the plea of the mother of Miss Urach. She is keeping vigil next to the ventilator that supports her daughter. Mother Urach has asked the fans of Andressa to pray for her daughter. With our help, she said, God will not forget poor Andressa. This is the God that insisted on excess gel being in his divine plan. Andressa is now obliged to spend time on her back alone but any woman who can attend the FIFA World Cup just dressed in body paint will bounce back. Different bounces, that is all. Someone else again not interested in authenticity is Jorge Beltrao Negromonte da Silveira. He was sentenced to 23 years in prison for serving sub-standard ‘empada’ pasties. Empadas consist of hot air and a thin lining of pastry and meat. Neither are the Brazilians gourmets. So 23 years appears excessive. But using human flesh as a substitute for meat meant prison was inevitable. Jorge, his wife and mistress killed two women, ate some of their body parts and then, like good neighbours, they sold the pasties lined with human flesh in their neighbourhood. Police found 50 pages of the book Jorge was writing when not making empadas. The working title is ‘Revelations Of A Schizophrenic’. So much for the theory that self-understanding produces serenity. Posted in Brazil, Travel and tagged Andressa Urach, Brazil, drought, South America, travel on December 6, 2014 by Howard Jackson.